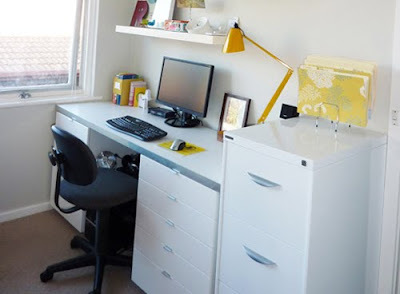 ...this desk made using Ikea kitchen cabinets. 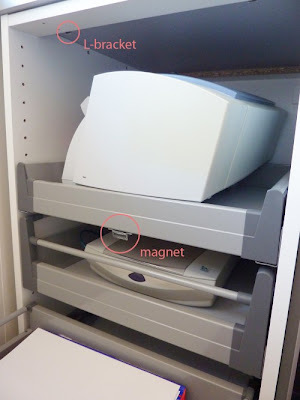 Check out the clever solution for storing the printer. ...this tile installation by Edgewater Studio. I must check out their booth at IDS11! Jen, checkout the Feb Issue of COUNTRY LIVING page64... Something to "do" with your Paint Chips! 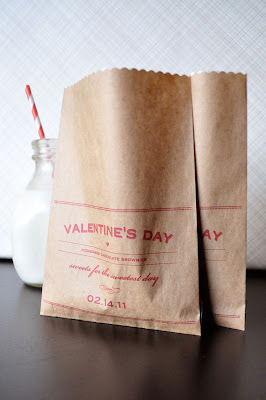 love the valentine's day brownie bags and that DIY kitchen with the pine ceiling! will need to check out the tile at IDS as well. 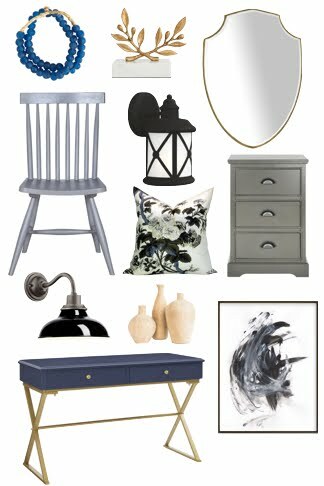 What a lovely surprise seeing my desk on your blog! And what a lovely list it is. happy weekend. 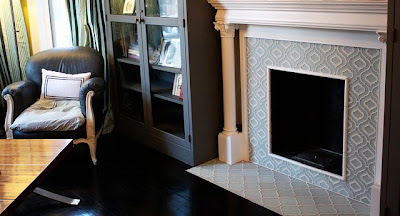 I love the tile on the fireplace...so chic! i love this series -- great round up. happy weekend Jennifer! I recognize that face from the 'lila was here' daily photo blog! Andrea was my wedding photographer! She's so talented and her daughter is adorable. 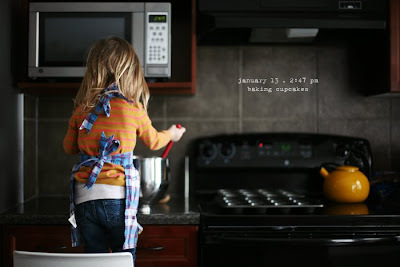 that kitchen makeover is fabulous! and i also love that fireplace tile! have a great weekend girly! Wow! Good stuff... 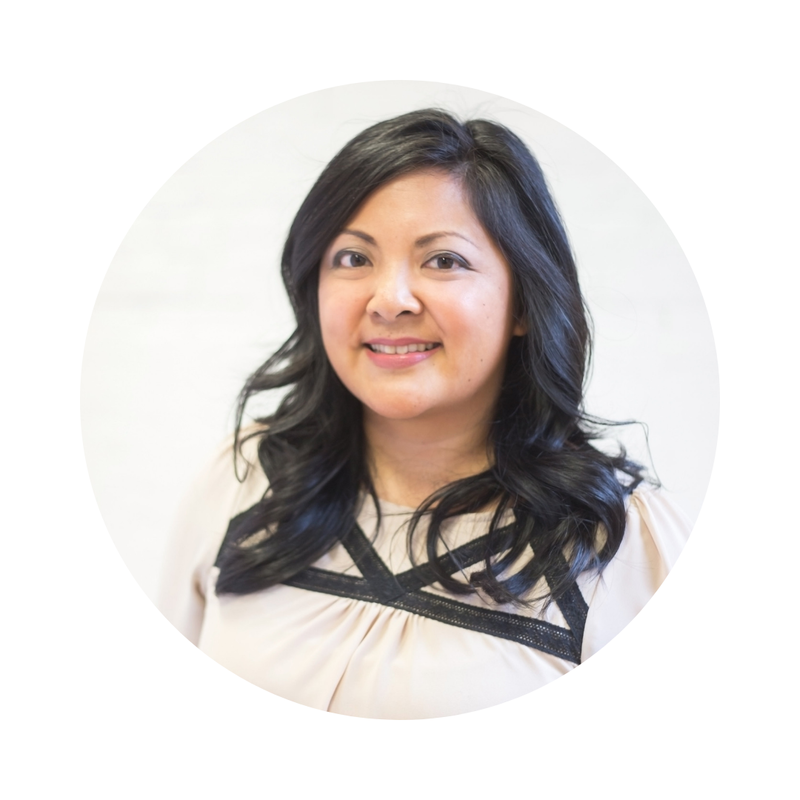 I'm a new reader to your blog - and now a follower too. Loving what I see here. Your past projects are amazing and I can't wait to see more. love it all. as usual. That fireplace is to die for! Thank you for sharing! 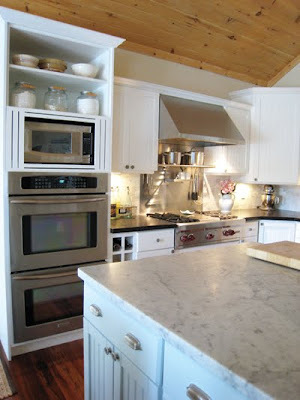 Great kitchen reno, too! Thanks for including me. 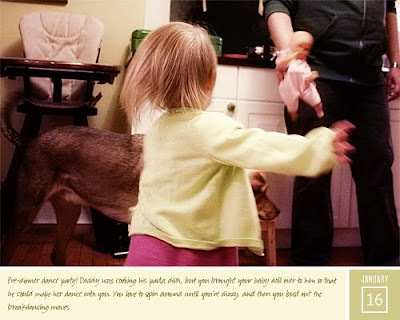 That other daily photo blog is amazing though!